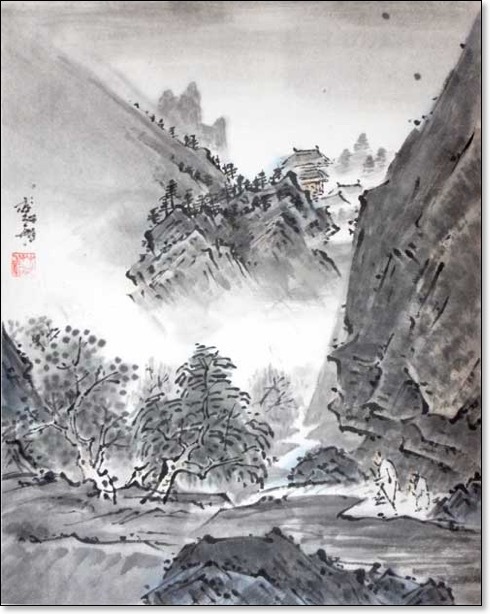 It fills me with great joy to copy a painting by Sesshu (1440 — 1506). It is a meditation to calm the mind. Not that I think the fifteenth century was calm, oh no! The country was torn by civil war. Every man became his own defender. Feudal lords ruled with their own private armies, tax collectors and serfs. From the mind of the Zen monk Toho Sesshu. When you copy his paintings you exchange your mind for his.